The FilesThruTheAir™ EnviroPad-TC is a touch screen thermometer and temperature logger with attached thermocouple probe. With a 2.8” screen it can clearly display its data logging and immediate graphing features. This touch screen thermometer has three operational modes: Data Logging, Spot Measurement and CheckList. This product is also available with custom variations including hardware colours and bespoke firmware and software. For more details please contact sales@filesthrutheair.com. Data Logging: When in ‘Data Logging’ mode this touch screen thermometer can be set-up and left to take temperature readings at predetermined intervals. All data logging parameters are set using the EnviroPad’s user friendly touch screen interface, with custom settings such as: sample rate, high & low alarms and delayed start if you would rather begin logging at a later time or date. All readings are saved to a file with a date and time stamp. 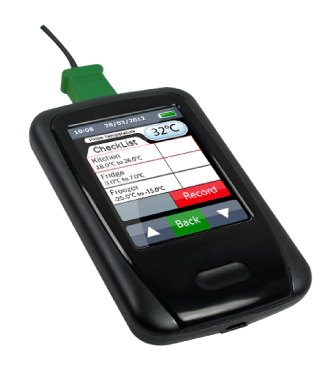 Spot Measurement: When in ‘Spot Measuremet’ mode the EnviroPad-TC can be used as a digital thermometer using the thermocouple probe to manually capture temperature readings displayed on screen. A new temperature measurement is taken each time the user presses the on-screen ‘RECORD’ button. Over 65,000 spot measurements can be recorded in each file along with time and date.  CheckList: The CheckList function allows users to create a unique list of items using the free PC software. This function suits applications where the same items need to be regularly checked. 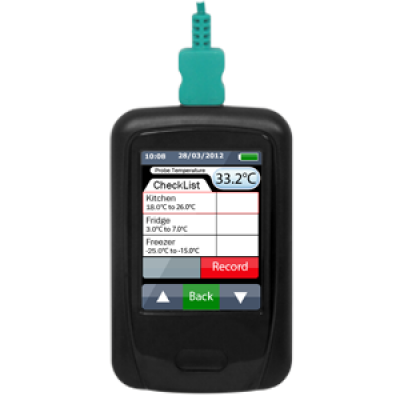 Features include Min and Max temperatures, Pass/Fail criteria, and the attachment of comments to individual readings on the hand held unit. All tabular data displayed in the software can be exported in PDF or CSV format.